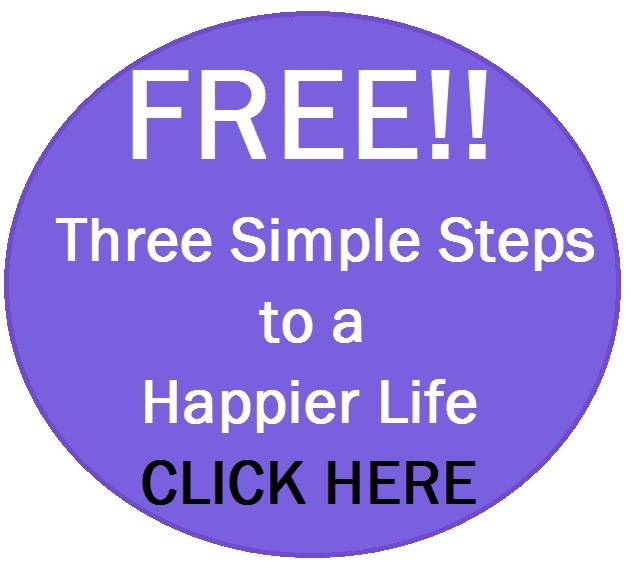 Are you happy with all areas of your life? Some areas? Or none? If the latter, how long has this been going on? In terms of making changes within yourself then yes it’s definitely good advice. I haven’t got the time. Does it really matter? Will it work? These reasons are excuses that we make because we don’t want to do it. You may not want to do it because you tell yourself that it won’t work. 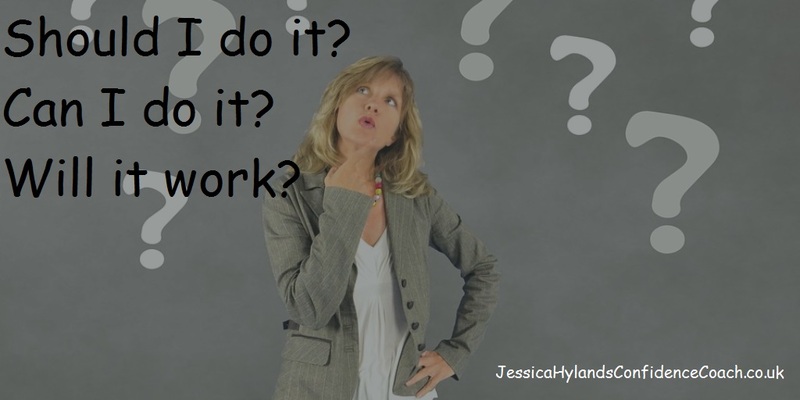 Maybe on a deeper level you’re worried that it will work ….and then what? Your whole life will change! 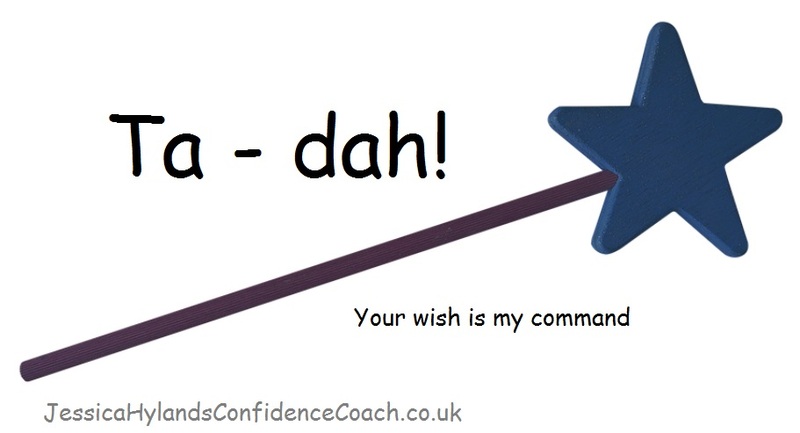 If you could wave a magic wand and have some changes already made within yourself or your life, what would it be? Wave the magic wand and consider it done. So it might take a bit longer than waving a wand in reality. Let’s say it takes you six months to achieve it. A year even. Won’t it be worth the effort over that time in order to have the rest of your life being a shining version of what is now? It will be wonderful to have a life that you love rather than feel is ‘OK’. Sometimes it’s better that it takes a while to make the change rather than it being instant with a magic wand (assuming for this example that there is such a thing!). The reason for this is that if we could make changes instantly it might be that we make the wrong change and in the longer term we feel the same, or maybe even worse than we do now. It can take time to know exactly what it is that we want. Sometimes the thought of achieving what we want can be scary. This can be enough to put us off starting it. When the change is made over time, you are adjusting inside along the way so by the time the change is complete, you are ready for it. You aren’t changing from the person you are today, straight into the person that you want to be. You aren’t changing overnight from someone who’s too scared to speak to people into someone who is happy to be the life and soul of the party. 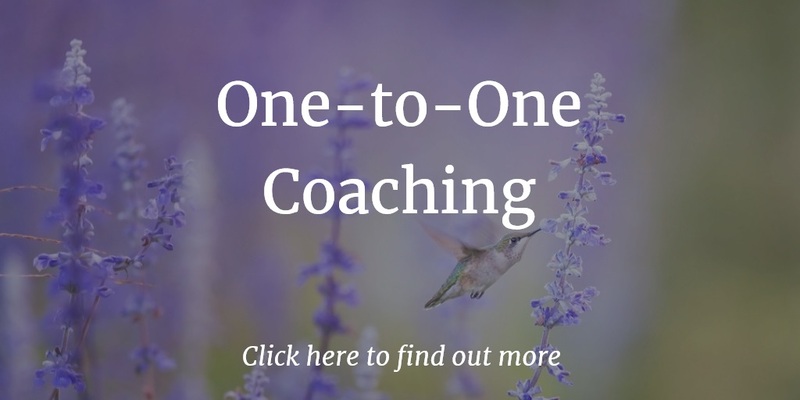 The bottom line is that if there’s something that you want in life that you don’t have at the moment, whether that’s a better paying job, a better social life, a partner, or a fitter and slimmer body, now is the time to start making that change. The best time to plant a tree is ten years ago or today…. How big will the tree of your dreams be this time next year….? Do get in touch for a chat and let's see what we can do about it. Look forward to speaking soon! Hello I’m Jessica Hylands Confidence Coach. Whatever you’ve got or haven’t got in your life at the moment is all down to you. If everything is going really well then you may think ‘Yes of course it’s all down to me. What a clever old stick I am’. I know this to be true because everything starts from how we feel about ourselves. How we feel about ourselves will determine what we think and feel, therefore what we do and say and ultimately the results that we achieve in different areas of life. So where do these thoughts and feelings about how we feel about ourselves come from? Let’s say for example when you were younger, the lesson that you learned, whether it was the intended lesson or not, was that you’re not good enough. If you don’t feel you’re good enough that’s the message that you’ll be putting across to others; whether you’re in business, socially, to your kids, your siblings, parents, whatever. They treat you that way and in your subconscious mind you think ‘Job done’. I’m not worthy and they treat me disrespectfully. I’ve got it sussed. So we try to prove our thoughts about ourselves to be correct. If we don’t think we’re worthy we create situations that prove we’re not worthy. If we don’t think we’re think clever enough we don’t get a job that will demonstrate too much of our intelligence because that wouldn’t fit with what we’re trying to prove. Not pretty enough, not athletic enough, whatever it might be that you’ve brought forward, probably from your childhood, that is what’s manifesting itself in your life. 2. You can do something about it. That means looking deep to find what belief you have that you’re trying to prove. What is it that you’re trying to prove by holding yourself back career –wise, or money-wise, or happiness-wise? You may not feel you’re worthy of being happy. That might be a stumbling block for you. You don’t want to do something that makes you happy because it doesn’t fit with the things that you’re trying to prove to yourself. This is all on a subconscious level so it’s not something to feel bad about. But it is something to be aware of. So dig deep if you have got areas of your life that aren’t doing what you want them to. Dig deep and find out what is beneath, what is the driving force behind how you’re running that area of your life. You might have the belief that you’re excellent at business or work but useless at relationships or vice versa. So you’ve got one area of your life that’s super and another area that’s not fulfilling you or making you happy. Have a think about that. 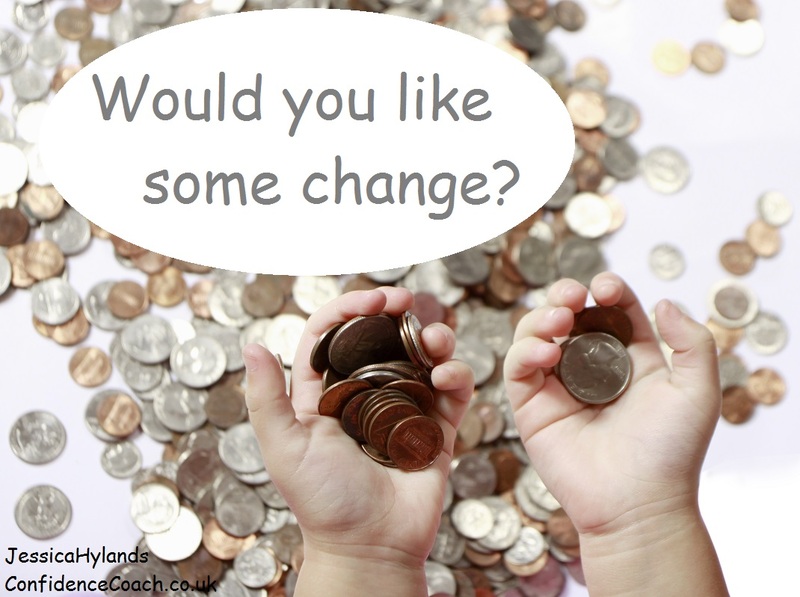 I appreciate that changing it on your own is a bit of a task, and if you want any help them please do get in touch for a chat and we can talk about what we can do about it, or dig deep in yourself and find out what’s going on for you, and change it. So I wish you all the best with that. Look here ....... one for FREE and the other for FREEDOM! Previous PostHappy Valentine’s Day!Next PostWhy does confidence matter?